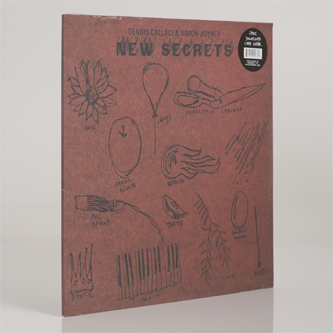 "Simon Joyner, who over the course of thirteen albums has released a unique and influential body of work on a myriad of independent labels, and Dennis Callaci, who has recorded nearly as many records with his band Refrigerator and runs one of those said labels, present their second record together. Their first collaborative release was a one-sided vinyl-only release on Catsup Plate Records a decade back entitled Stranger Blues, a direct-to-one-track live recording of the two playing together and sharing one mic. Though recorded in the same spot (i.e. 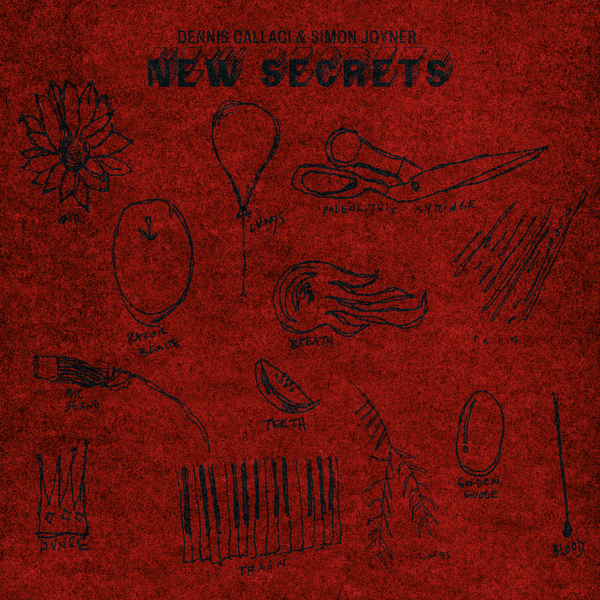 the living room of the Callaci home), New Secrets is a different record altogether?a call and response exercise of sorts, with a Joyner song answering the plea to the preceding Callaci dirge. Recorded and mixed live by Jarvis Taveniere (noted for his Rearhouse recordings and as a member of Woods) over the course of three days, the duo was backed up by Joyner's band from the Ghosts record of last year. Augmenting the album's eleven tracks are guest appearances by Franklin Bruno (Human Hearts, Nothing Painted Blue) and Kevin Morby (The Babies). Reuniting the original cast from the first release, noted artist Rob Carmichael designed the cover art around Callaci's drawings."